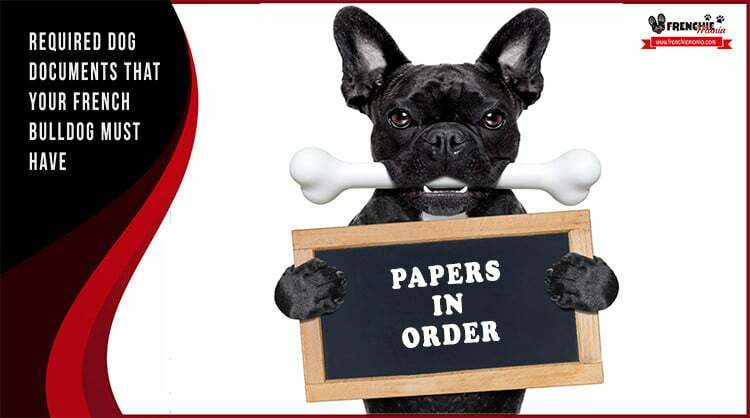 Do you have all required documentation for your french bulldog? Whether adopted or bought your french bulldog should have some documents for legal side and the other important to know in detail their health, or identify it in case of loss. Many owners do not give importance to this issue but it really is, on the one hand because they are legally binding and secondly because you will save a lot of expenses for veterinary knowing in detail its evolution, in the same way that we have our primer and medical history when we think of something. In the case of buying a french bulldog there are certain documents that are required by law, given the rules governing the sale of dogs. But you do not have to have in the case of adoption, however there are others that are common to both. You will probably don´t have this document in case you have adopted a french bulldog but yes if you have acquired through a breeder. It’s not about the pedigree dog but registration there of in the RSCE (Real Sociedad Canina of Spain) or another company in the case of other countries. It is management to do any breeder when you have a new litter parents enrolling and each of the puppies in this society. The aim of this paper is that the dog is provisionally registered in the LOE (Spanish Origin Book) and ensure its origins. In it must contain a family tree of your french bulldog puppy over three generations together with all information breeder or private, as well as potential titles or awards from their parents in the case of french bulldog puppy champions awards national and international. It is not one of the most important documents, but you should ask the breeder since by law must give it to you with the dog, as well as the particular If he or she have done things correctly. Sometimes you can confuse this document with the previous, but is not the same. The dog pedigree is a topic that many people think that if you do not have your dog is not purebreds, and even less this is so. In fact, there are many who do not have this document and are purebreds but are not identified because usually the individual not been submitted, yes, the breeder should give you as transfers his rights to the person who has that new puppy, and also it justifies breeding has been successful considering the genetic background and the dog. Denomination of the Genealogic book and number with which the dog has been registered. Identification Code (tattoo or microchip). Date of transfer of ownership. Date of issue of pedigree. Authorized signatures of the Canine Society. The dog pedigree is credited the purebred, without unwanted crossings have occurred between their predecessors, according to information provided to the R.S.C.E. by / the breeder / she is to request enrollment in the L.O.E. their litters. If the breeder hands you a document that you yourself must process it serves the pedigree to rename and be the owner. This has a cost is not a free run, but you have the papers with the origins of your french bulldog. The ID card is a mandatory document of your french bulldog, whether adopted or purchased. This paper mainly demonstrates that the dog is yours and not a third party. The identification proves that you are his owner preventing a third party in the event that your french bulldog was lost say is theirs if not legally identified, or avoid euthanasia if lost, just in a kennel and finally they sacrifice. If the dog is not identified the law can consider a drifter who has been abandoned and has no owner and not sure this would want anyone if your french bulldog is lost or stolen. Moreover, as you are reforming the laws regarding the abandonment of dogs that will be harder each time, and so should be in our opinion, although the dog is vaccinated and identified it may be fined by default. Not only because your french bulldog can be lost, as this is possible, but also because it is a dog that is very fashionable and more and more thefts occur. As a tip avoids leave only in the garden if you have easy access, or if you go out for a walk and have not you always secure loose. The electronic chip is another way of identifying your french bulldog. To place must carry out a quick and painless operation without anesthesia so that your french bulldog no risk, carried out by veterinarians to place a small chip under his skin with their data and yours. In case of loss, this chip can only be read with a special device that veterinarians thus have access to the registry and to all the information of our French bulldog. Although your French bulldog chip have not you put any other nameplate on his collar so that if you lose easily whoever finds it can locate you. The health card is not a binding document but very necessary when we acquired a french bulldog for adoption or purchase. 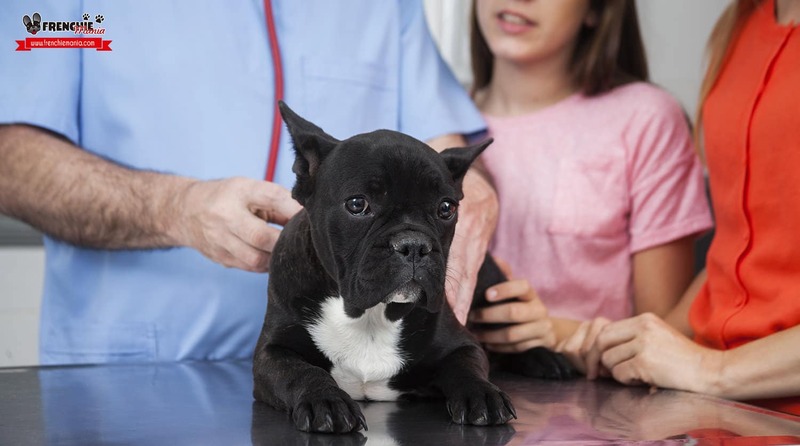 This document contains since the birth of your french bulldog all vaccines that have been made and any other information related to their health, skin problems, possible diseases, operations, etc. Furthermore each vaccine and every veterinary treatment must be sealed by the professional who has carried out. The booklet also includes the name of the puppy, its identification number, the name of its owner and the actual date of birth or approximate in the case of an adoption. Whenever you go to change veterinarian must carry it with you so you can know the history of your french bulldog, when take it with you always travel also as you never know what can happen and be better than a new veterinarian has access to all information. 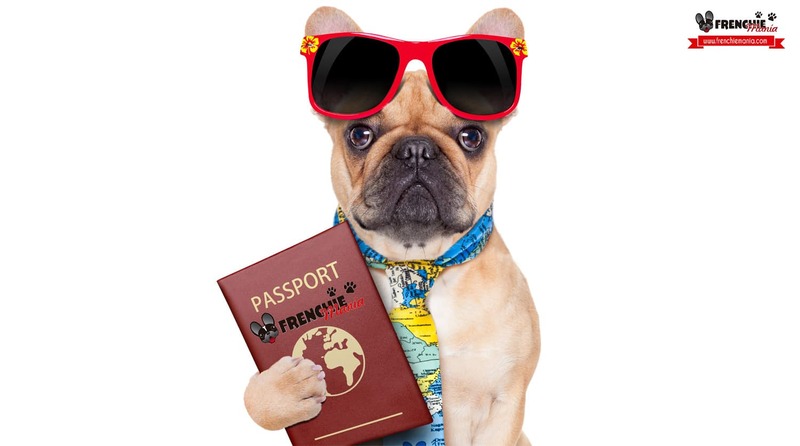 The passport is not a binding document but you have to manage it in advance if you’re traveling with your french bulldog out of the country on holiday or because you simply change your residence. To travel in the European Union the only requirement is that your french bulldog this vaccinated for rabies, but in other countries should consult the law. If you do not have it you must manage well in advance because as you know things are going slowly palace, and of course has a cost is not free. 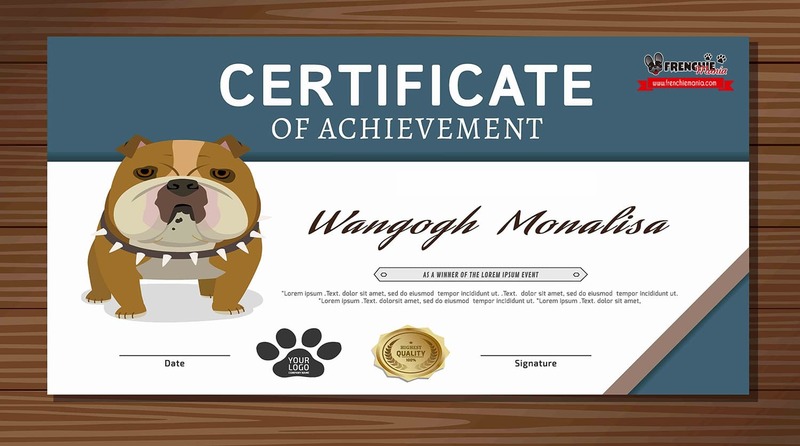 The passport includes all the information on both your french bulldog as your own data as well as the relationship of vaccines to provide your dog travels healthy. And do you have all the documentation of your french bulldog updated? Have you had to manage a document at the last minute? Remember that the documents and identifying your dog are essential, all these documents are applicable to any dog. If you have found this article useful leave us a comment and share it with your friends.